On the day you arrive, you will be greeted by the dentist who will personally review your medical and dental history and address any concerns you may have. He then will perform a comprehensive oral exam which includes a head and neck exam, oral cancer screening and if needed, a full set of digital X-rays. You will then receive a complete dental and periodontal examination to evaluate the health of your teeth and gums. After interpreting all the information, a treatment plan will be presented with a detailed explanation of possible options and associated costs. 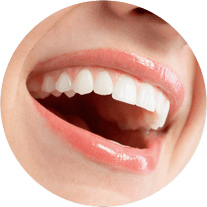 This appointment is not for a cleaning; however, the treatment plan will include the type of cleaning that is correct for your needs and we will schedule it at the time of your visit. By requesting an appointment online, you will be view available appointments and once confirmed an email link will be sent to complete the forms online. Or, if you prefer, download and print the forms. These forms help us better understand your dental needs, allowing us to provide you with the most effective care possible. As always, please do not hesitate to contact us is you have any questions about patient forms or your appointment. Be sure to provide any dental insurance information; as a courtesy, we will file claims on your behalf with your dental insurance company. If you are covered by insurance, we will expect payment of your estimated portion at the time of service unless prior financial arrangements have been made. If you would like to finance your dental expenses, we are pleased to offer CareCredit and will be happy to provide you more information about CareCredit and how to apply. We ask that you make every effort to keep your appointments. Missing an appointment disrupts proper sequencing of care and delays completion of your treatment. Please give us at least 24 hour notice if you are unable to keep your allotted time in our office. Again, welcome to our office and we look forward to seeing you soon. We appreciate the opportunity to provide you with top dental care.